As someone who has struggled with headaches since I was a teenager, I was anxious to see if I have certain triggers in my food. There are so many potential triggers for your headaches and migraines… it can be hard to pinpoint the exact root cause. Get a small journal and start recording all of the foods you are eating. 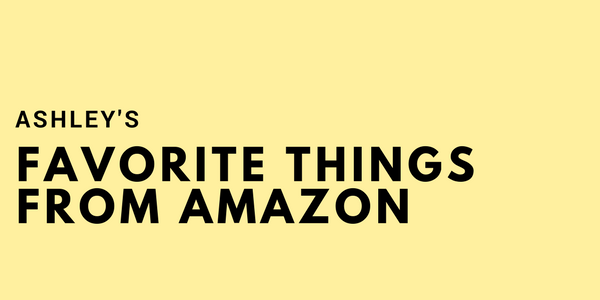 Every day keep a detailed list of foods and drinks. Write how much water you are drinking each day (dehydration can cause headaches too). Note when your headaches arrive, where specifically the headache is, and what kind of headache it is. Also note the weather, pollen count, or other potential triggers. Now, let’s look at some of the potential triggers. Tyramine is a compound found in some foods that is a trigger for some with migraines. 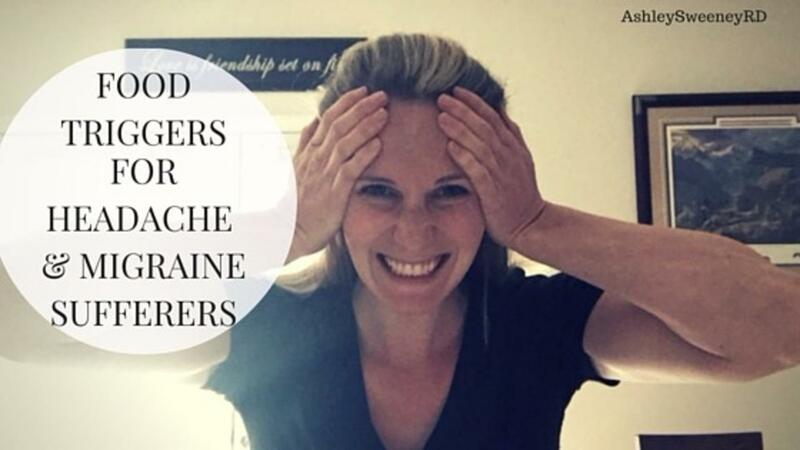 Tyramine can cause blood vessels to dilate, and this may be what starts the migraine chain-reaction. Nuts & Seeds- all nuts and seeds, nut butters, etc. Spoiled or ripened produce - overripe fruits, bananas, etc. Tannins are another compound found in plants. While they do contain some antioxidants, tannins also keep your body from absorbing proteins and some minerals. Research isn’t exactly clear on why tannins cause headaches, but some people seem to react negatively to them. What is it? It is most known for its use in Chinese Foods. It is also in many packaged foods, canned foods, snacks, salad dressings, packaged dressings/mixes and more. It is a flavor enhancer. It makes food appear as more savory, flavorful and less bland. In studies, it also reportedly gives a higher satisfaction rating on the food with higher positive emotions compared to foods without MSG added. MSG has been linked to headaches and dizziness in some people due to the toxic effect it has on the neurons in the brain. When you are dining out, unless the restaurant makes all their dishes, sauces, and dressings in house, most will use flavor enhancers like MSG in their foods. Look at the image below from the Chick-fil-A website. The Spicy Chicken Sandwich had MSG added twice. 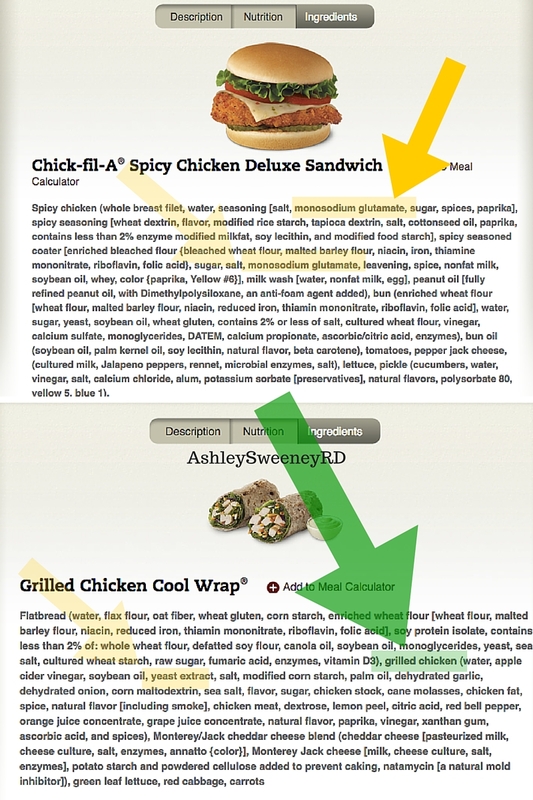 The Grilled Chicken Cool Wrap has one of the other MSG sneaky terms, “yeast extract.” Also look at the green arrow. I just had to point out the “grilled chicken” ingredient. Look at how “chicken meat” is like the 20th ingredient! The grilled chicken in the wrap is comprised mostly of water, apple cider vinegar, and added ingredients, not chicken! Phenylethlamine is another amino acid which has the ability to cross the blood brain barrier, which for some may cause migraines, according to studies. Sulfites: A preservative used in wine, dried fruit and processed foods. Nitrites: A preservative in processed meat like hot dogs, bologna, jerkeys, deli meat, etc. Aspartame: The artificial sugar found in NutriSweet and Equal, also in many “diet” or “light” products. While looking into MSG, I thought I’d share a little bit more about what the term “Natural Flavors” means. If you look on the back of most any packaging, you’ll find the terms Natural Flavors in the ingredients. This can mean it is chemically derived from natural ingredients or chemically designed to imitate natural ingredients to increase the flavor of the foods. 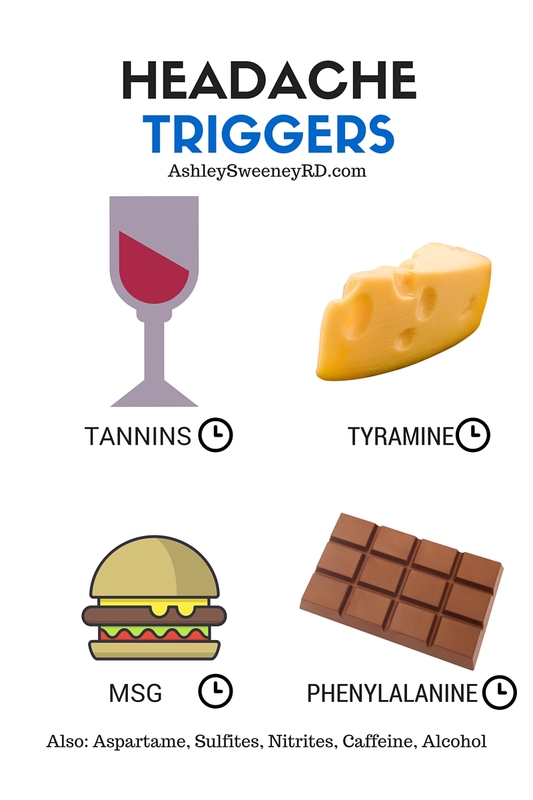 What foods trigger YOUR headaches? Comment below to let us know if yours are diet-related or caused by other things!